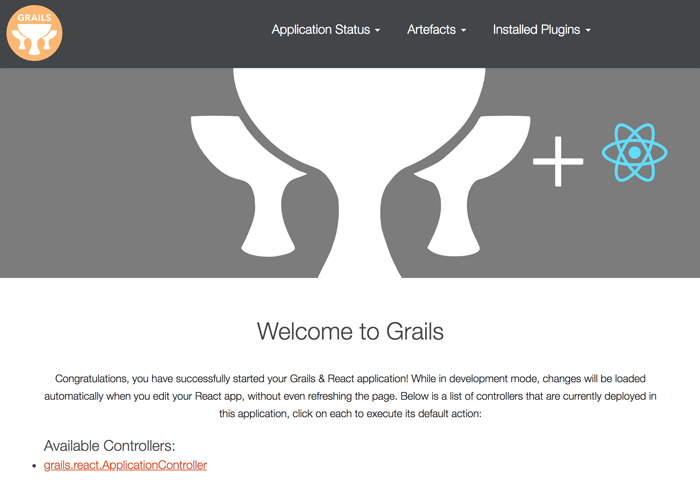 Step by step tutorial on build Grails 3, MongoDB and React Profile CRUD Web Application. Comprehensive step by step by step tutorial on build Grails 3, MongoDB and React Profile CRUD Web Application. Previously we have to show you how to build CRUD Web Application with the famous Angular 5. Now, we will use React.js as front-end framework that will be working together on the same project with Grails 3. 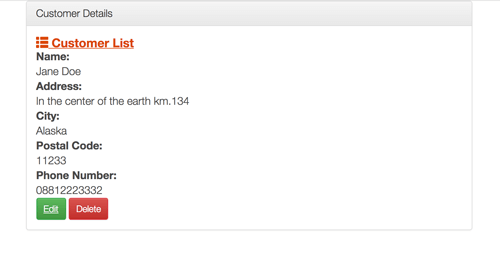 Using this profile will create 2 application, they are Grails 3 as server and React.js as Client. The scenario for this tutorial almost same as previous tutorial using Angular 5 profile. they are creating, read, update and delete Customer data. CRUD mechanism using RESTful API provided by Grails 3 and visualization using React.js as the front end. Open the terminal or command line then go to your Grails projects folder. Type this command to create a new Grails 3 application with React profile. Node.js and its dependencies will be downloaded automatically. React application will run using port 3000 and Grails 3 using port 8080. React application will open in the default browser automatically. Open and edit `server/grails-app/domain/grails/react/Customer.groovy` file then Replace all codes with this. Now, it's a time for testing a CRUD operation. We will use `CURL` command for this. Open the other terminal or command line tab then run MongoDB server if there's no currently running MongoDB server. Now you have your RESTful API ready to access from the React front-end application. Don't worry about the CORS for using the different port because it already enabled by Grails 3 default configuration. 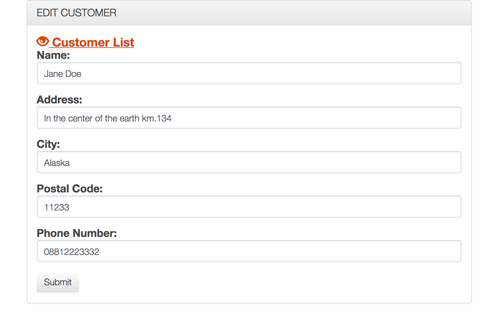 This React front end consists of the Customer list, detail, create and edit. For navigating between that component, we need to create a route. First, install modules that required by the components. To get the list of Customer and display to the page, open and edit `client/src/App.js` file then replace with this lines of codes. 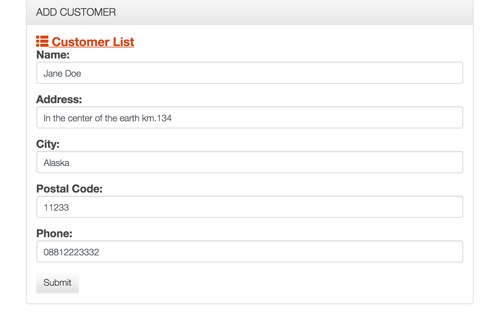 For add a new Customer, open and edit `client/src/components/Create.js` then replace all codes with this lines of codes. To show customer details that listed on the home page, open and edit `client/src/components/Show.js` then replace all codes with this lines of codes. In this component, there is two button for edit current customer and for delete current customer. Delete function included in this component. After show customer details, we need to edit the customer. For that open and edit, `client/src/components/Edit.js` then add this lines of codes. It's time for running the server and client side and test all CRUD functionality. Type this command from the root of the project directory. If there's some wrong with the client. You can run the client using the standard Node.js command in the other terminal tab. Now, here the whole application looks like.